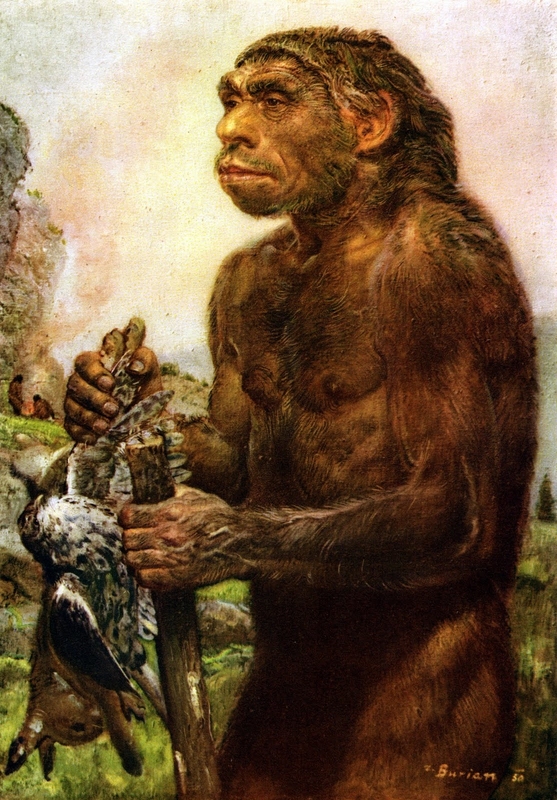 Neanderthals or Homo neanderthalensis. 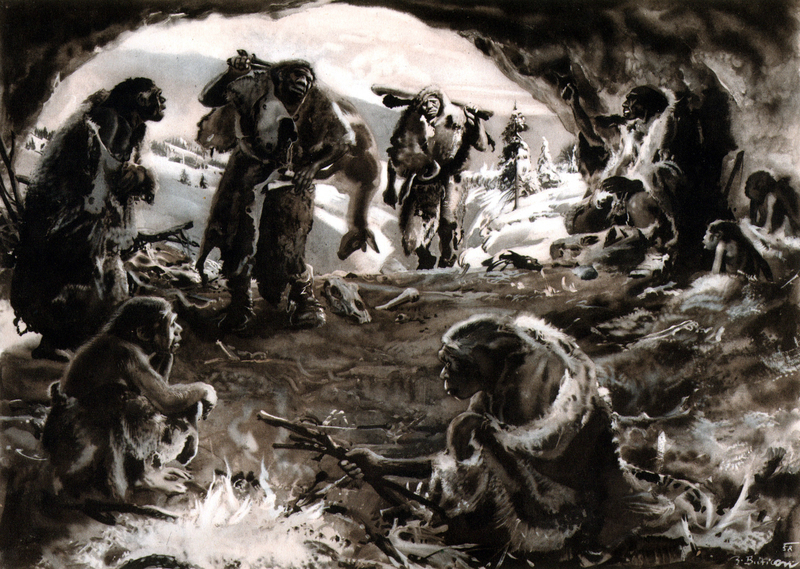 The first "true Neanderthals" are believed to have appeared 250 000 or 200 000 years ago and died out in Europe between 41 000 and 39 000 years ago. 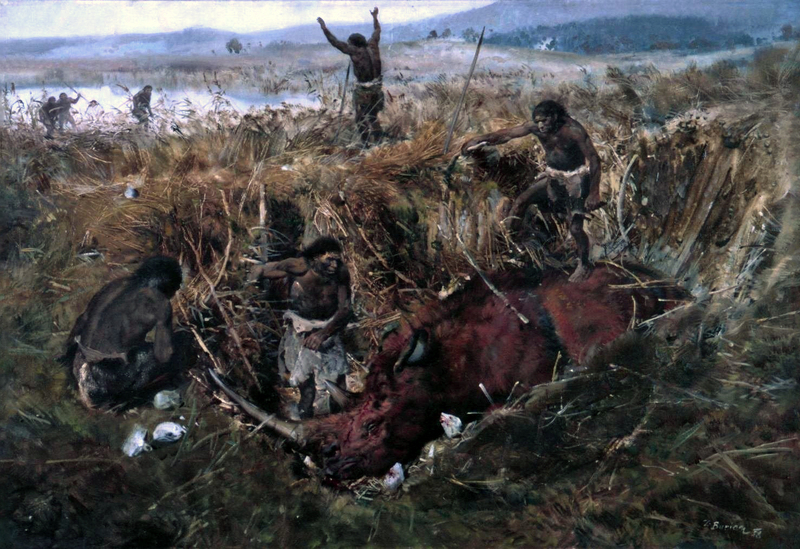 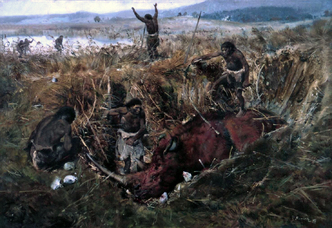 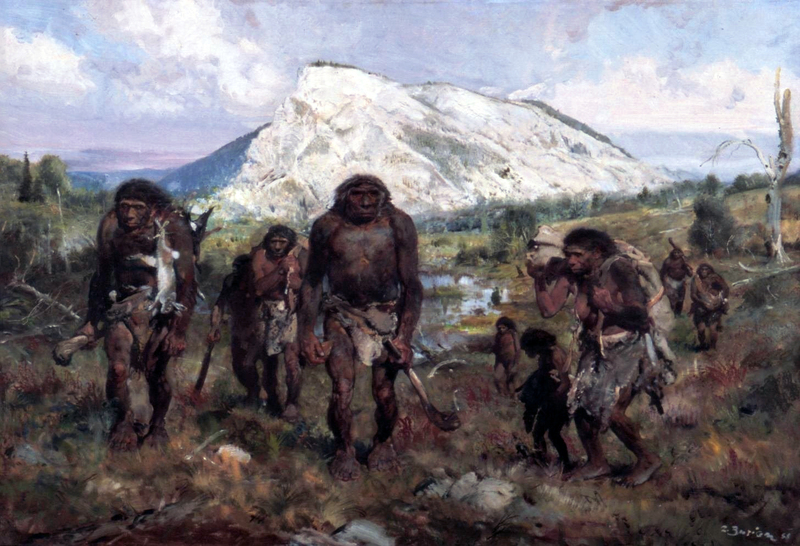 Reconstruction of Middle Paleolithic everyday life by Zdenek Burian, an influential 20th century palaeo-artist, painter and book illustrator from Czechoslovakia. 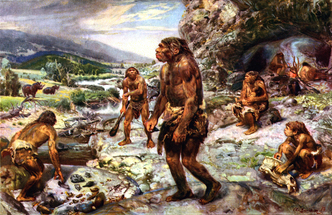 The images represent an artistic rendition of the concepts spread around the middle of 20th century: the look and way of life attributed to Neanderthals or Homo neanderthalensis. Many of the beliefs were not universal even in those days and in large part have been dropped or refined since then. 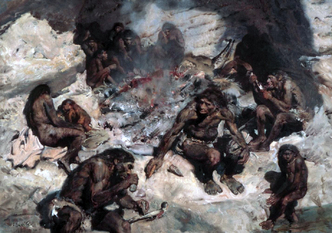 There is still no common consent reached on many important issues. 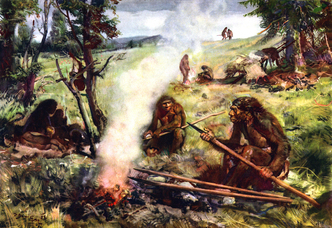 For example: how much Neanderthals were similar to modern humans in look and behavior or if they were able to use speech or if they were actually real hunters, not scavengers in somewhat commensal relationship with other species of their environment.